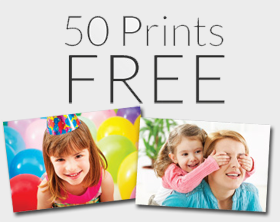 To get 50 FREE Photo Prints at Rite Aid create an account and 50 FREE prints will be loaded to your cart. Select in-store pickup to make it FREE. **NOTE: If for some reason you do not get the 50 FREE prints in your account, contact Rite Aid through their live Chat (open from 8AM-8PM), and they’ll credit your account for you.